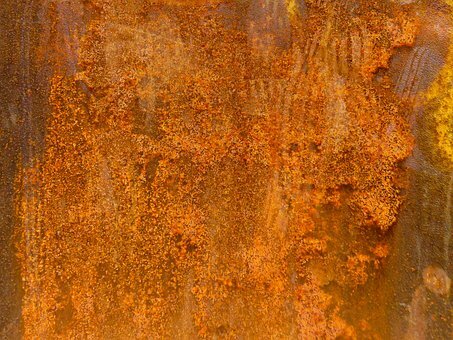 Rust and corrosion is the main enemy of metals, especially steel, unless you are using stainless materials or steels. However, stainless steels and other alloys can be too pricey and using them for bigger or industrial constructions can be a complete waste of money unless it is absolutely necessary. If you are an engineer or if you are designing a certain construction, you will eventually have to opt for metals for obvious reasons and thus, knowing how to protect them against rust is mandatory. Even though it sounds pretty straightforward, it is almost impossible to prevent corrosion. All you can do it take safety measures and delay the process of corrosion. However, choosing and implementing the right methods to prevent possible rusting will help you save time as well as money in the long run. First and foremost, you should focus on workpiece preparation regardless how big or small it is. The main reason for corrosion is poor surface preparation. If you want your metal or steel structure to last a longer time without being rusted, you have to use a proper sandblasting method to remove debris and other discontinuities from surfaces and then you will be able to use any protective coatings.Understanding the mechanics or chemistry of corrosion will always help you make better calls. Most of the time, people tend to pain their steel structures without worrying about anything else. Painting or applying any other film on a steel structure will prevent its surface interfering with atmosphere which contains water particles and oxygen. Those two parameters will initiate and speed up the process of corrosion. However, using a protective coating alone will not prevent it from rusting and there can be design flaws that alter this process. Knowing details about metal deterioration will definitely help you figure out the right options. Choosing the right type of protective coatings should be your next priority. Market has heaps of different options for you but frankly, only a handful of them will actually worth their price. Therefore, make sure to opt for a brand or a protective coating that is reputed and recommended by professionals. Follow the right procedures when applying coatings after abrasive blasting to obtain the best results.As you can understand, this will require a professional approach if you want to get the best results. There are heaps of different engineering workshops and service providers out there that can help you out with these tasks but it is your responsibility to opt for someone or a company with adequate expertise and a solid reputation.